Fresh, flavourful vegan street food. Vegan food all hand made with love. Find us at Altrincham Market on New Market Square. Wednesday-Sunday 9am-4pm. Serves food like Aubergine quinoa burger, Mexican style black bean burger, daily salads, smoothies and breakfast options. Contact about possibility of other catering. Vegan, Gluten-free, Soya-free cakes made to order. We make delicious vegan cakes, cupcakes and provide outside catering. Cakes can be made at short notice. We aim to have your cake ready within 24 hours. The Vegi Hut offers something new and exciting in terms of plant based catering. We supply vegan sandwiches and catering for all kinds of events including, Fetes, Fairs, Festivals, Meetings, Individuals, Parties and Weddings. All products are sourced from the UK. We use Organic produce whenever possible and can provide gluten free. All of our packaging is also Eco Friendly & Recyclable. Welcome to Give Peas a Chance (Also known as GPAC!). We are a mobile vegan catering van available for events in and around North West England. As far as possible, we only use organic and fair trade ingredients and aim to use local suppliers. We sell burgers, falafels, curries, salads and yummy raw desserts and sweets. Award-winning food cooked on the premises by Sue - from starters to desserts you won't find ANY pre-packaged/pre-made food here - we know exactly what's in every dish and use the best quality natural and whole ingredients. Our standards are very high and all food is expertly seasoned. Our Chef has been widely praised for her natural talent and culinary flaire - always delivering food packed with taste & texture. We specialise in Veggie, Vegan, Wheat//Gluten-Free and Raw Food. Get in touch if you're interested in booking us for private catering. Manchester Based artisan Vegan Cakes Cookies Pops and more, whatever you need for your event bespoke & 100% vegan made by vegans! Gorgosaurus Vegan Bakery is a home bakery in Northern Moor, South Manchester. Everything we bake is 100% vegan - no animal products of any kind. We make bespoke cakes and cupcakes to your requirements. If you aren’t sure what you want, check our photos for inspiration, or get in touch - we are more than happy to discuss options with you. Orders can be collected from Northern Moor, South Manchester. Collection date and time must be arranged in advance. Delivery may also be possible, although this may come at an extra charge. We are Vegan Junkies and we cook up Pies, Mash, Burritos, Nachos and Curries for markets, festivals, events etc - all deliciously addictive and 100% Plant Based. Tasty vegan treats baked with a love of cake and the world we eat it in! Vegan Bakery for all your cakes needs! Brownies are our speciality but we also do all shapes and sizes of cakes! We can provide any flavour for your event, just drop us a line and we can have a chat about how we can best help! 10% of all profits go to homelessness charities. The Kitchen on Great Moor Street is the cafe project managed by Lakamka Workers Co-Operative. The cafe is an idea we had to create tasty, simple and wholesome foods that everyone can enjoy. We have lots of experience of growing, cooking and teaching about food. The kitchen is a centre which aims to generate interest and participation in local food activity. We can cater for meetings, events, private parties, and sometimes cater at food festivals. All foods are suitable for vegetarian and are mainly vegan. We are a flexible bunch so please feel free to phone to discuss your options and adaptations. Vegan Cafe and Icecream Parlour, event catering, buffets and celebration cakes from Manchester! Teatime Collective started from a love of home cooked vegan food and good company. These are still values we continue to promote. In September 2013 we opened our fully Vegan Cafe and Ice-Cream Parlour in Hulme and would love for you to come and visit us! We also do event and festival catering, weddings, supply cakes to other cafes and make Celebration Cakes! A new vegan catering venture based in Manchester/Salford, UK. MMi's food truck lives at the Islington Mill courtyard and celebrates plant based ingredients that are naturally 100% cruelty free, healthy and most importantly. D E L I C I O U S! Can do outside catering. Eighth Day Café offers a large range of local, fresh, vegan and vegetarian food for any occasion. All food is freshly prepared to your individual requirements. For meetings and parties we can provide cold finger buffets that can be prepared, delivered and set up for you. We also do Bespoke catering for weddings, please contact us for a quote. We specialise in catering for any dietary requirement. Manchester city centre's only pub-based totally vegan cafe & outside event caterer. Run by Manchester DJ and professionally trained and qualified chef of more than 35 years, Martin the Mod. Mod has been cooking vegan food in the centre of Manchester since the mid-1990s. He moved over to the Thirsty Scholar from his previous business Mod Pop Veggie Café on Oldham Street in 2009. Since then Mod has provided a varied vegan pub grub menu, cakes and outside catering services from his totally vegan kitchen at the Scholar. In addition to his qualifications as a chef Mod is also trained in dietetics and able to cater for specialist diets. As well as good food, reasonable prices and generous portion sizes you are always assured of a warm welcome and great service from Mod. A Kind Mama vegan bakery is run from my little house just outside of Manchester. I sell boxes of cakes and they are delivered by courier to your door! What could be easier? I also sell celebration cakes & boxes of cupcakes which can be collected from me in Cheadle. You can find me at various markets and vegan fairs around Manchester, so keep an eye out on my social media for the dates and places. We provide catering for meditation and yoga retreats, weddings, birthdays and any other special occasion you would like nutritious plant based goodies for. Our food includes fruit platters, salads, sushi, cacao and vanilla cashew mouse pots with chocolate hearts and breakfast bircher and chia pudding glasses, protein packed quinoa salads, home made nut butter stuffed dates, raw sushi, chia and nice cream sweet pots, superfood power balls. Raw brownies, green juices and smoothies, hearty stews, spaghetti bolognese, curries (Indian and Thai) sweet and savoury waffles. A vegan lunch wagon and cafe with a conscience! Our Lunch Wagon is a cool, trendy food truck in Salford. We are a hidden gem, but once discovered we will have you coming back for more. 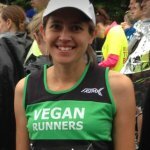 A hit with the health conscious and the die hard vegans of Manchester – we also attend events and have catered for the Colour Run and the We Love Manchester 10k. We are also really uniquely a Social Enterprise and use the truck to engage with the local community, enabling us to connect with those in the hardest to reach areas. We are especially proud of spending three months with the mental health charity blueSCI for our first pop-up café. Since then we have worked with City West Housing Association, providing food delivery to residents who can’t get to the shops. Planning an event, retreat, or party? Want to offer delicious food that's bursting with flavour, without compromising on nutritional value? Gourmet Raw Food Chef Claire Cockburn combines passion for nutrition through raw vegan food, culinary creativity, and a love of life with an experienced and professional approach that results in innovative, sensational, vibrant and refreshing raw vegan delights. All meals are made from raw and living organic (wherever possible) plant foods and may incorporate processes such as soaking, sprouting and dehydrating. Claire is available to cater for your event, wherever you are, throughout the UK. Rockin Buddha came about from our love of street food from back home in China. 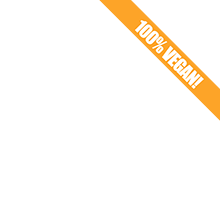 All of our food is 100% vegan and we do not use ingredients that attempt to imitate meat. We are available for all kinds of events, festivals, markets and private functions. Liverpool's 100% vegan pop-up. Italfresh is where you'll find unique, vibrant and delicious vegan food with health in mind and flavour at the forefront. We use only the best ingredients, grown naturally, and apply our unique fresh twist on caribbean classics - vegan style! We can cater for private and public events so please contact us to discuss your requirements. Forgot The Eggs create amazing, luxury vegan cakes, meringues, biscuits, sweets and treats! All our treats are hand made, freshly baked and 100% vegan. Forgot The Eggs can be found at vegan festivals throughout the North of England, at The Wonder Inn, Manchester, and can also deliver in the Lancashire and Greater Manchester area. Forgot The Eggs also specialise in custom-made celebration cakes and cupcakes! Mail order coming soon! Los Antojitos is a Mexican Pop up catering company specialising in Street Tacos and Multi-bean Chilli bowls. We make hand pressed white and blue 4″ corn tortillas from Masa Harina. These little fellas are pan roasted until they start to puff up. This shows our chefs that they are ready to be loaded with our traditional Mexican recipes. These include BBQ Sweet Potato and Red Cabbage slaw, Seitan de Barbecoa Estilo Yucatan and Refried Pinto beans. Can cater for private and corporate functions, cook for dinner parties, provide party platters and teach private cookery lessons. Bumpkin Deli creates distinctive food for the taste conscious. Our food is freshly prepared using all Vegan ingredients. We love beans, quinoa, nuts and fresh salads and create unique combinations depending on seasonal availability. We create new menus every week and deliver locally to homes, businesses and private events such as parties and weddings. We can also be found at Artisan Markets and Street Food events. Delivery is across Manchester and Cheshire. Vegan/veggie buffets, market and street food event catering as well as kitchen takeover pop ups and dining options. Comfort foods from all across the world for all the family. 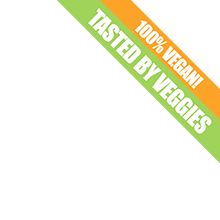 Earthlings is an organic juice bar and health food cafe specialising in plant based cuisine. We make bespoke organic, raw, vegan, gluten free and refined sugar free occasion cakes. Made to order with only the finest ingredients and lots of Earthlings' love. Please contact us to discuss your requirements. We are 100% vegan and can do gluten free. We can create vegan celebration cakes that are also palm oil free, gluten free, sugar free and 100% fairtrade on special request. Authentic, freshly made, vegetarian and vegan Indian food. Authentic Vegetarian and Vegan Indian Food - The food that we offer is an amalgamation of various regional dishes that are very popular in different parts of India. The dishes are freshly made to order from fresh ingredients and differ from the way traditional Indian restaurants cook their food. Our menu is healthy, less influenced by heavily flavoured spices but is filled with the authentic flavours of India. Over 20 clearly marked vegan dishes on the menu. We specialise in homemade seitan fake bacon, chicken, sausages and kebab 'meat'. We have a small cafe in Bury centre but also offer a large buffet menu and are known for vegan cakes. We can cater for private functions and we also attend many events and festivals around the UK. Welcome to VBQ! We're a new company on the block. We supply mostly vegan food, but some products are vegetarian. We do outdoor catering, all cooked on BBQs and nice hot charcoal. Our menu consists of vegan burgers and vegan sausages - all different types - as well as having the classic corn on the cob and veg chilli. For a real authentic BBQ taste without the meat, we're your guys. Our resident baker would be delighted to make you a vegan cake to celebrate a special occasion. She's a whizz at chocolate cakes, sponge cakes, cupcakes, and can also offer a range of gluten-free and sugar-free cakes too. Our venue is also available for private hire. Whether it's a celebratory lunch or a special occasion, bring your team, family or friends here for an event and we'll roll out the food, drinks... and red carpet. Topaz Select Catering provides a competitively priced catering service of excellent quality to businesses, organisations and events throughout Ashton-under-Lyne. Every time you order a buffet you contribute to a social enterprise that is committed to promoting positive mental health, volunteering and employment opportunities to people with mental health problems. We endeavour to use as much locally grown and organic produce as possible, including using the food we grow ourselves. Topaz Select Catering is a social business and is part of the larger mental health charity Tameside, Oldham and Glossop Mind. Any profits made by this business are fed back into the charity and are used to help support our full range of mental health services. Gillie Food can cater at weddings, parties and special occasions, as well as public events. We also manufacture a delicious range of oriental vegan meat-substitutes (Vegetarian Society approved), for supply to the public and to other caterers. This lady tends to have queues for a reason. Love love love her food. She is definitely my go-to at events. Megafauna is a fully vegan cafe in the heart of Southport town. Focusing on fresh, seasonal and local produce we have a daily menu that changes with the seasons, serving unique sandwiches, seasonal soups, quiche, gluten free frittata and a selection of daily salad choices. We are happy to cater for small or large events up to 50 people. At Megafauna catering we will work with you to plan your party food, catering for all tastes and ‘free from’ diets. Cakes can also be made for all occasions with specific flavours or theme.